After weeks of hype and bringing items from the online game into the real world, Season 5 of Fortnite has arrived. For those who haven’t yet joined the craze, Fortnite is a game available on consoles, PC and mobile where 100 players drop from a flying school bus, collect guns and resources to fight and build structures (hence the "fort") and fight to be the last player standing. Thousands of Fortnite gameplays can be found on YouTube or the popular livestreaming website Twitch.tv, which is owned by Amazon. This time, the popular multi-player "battle royale" game has upgraded its map, added new cosmetic skins and items in the new update. In Season 4, players watched a rocket launch into the sky while they were battling to eliminate 99 other players in the game. That rocket exploded and appeared to have caused a worm hole, bringing items from other eras like a viking ship, an ATV and even a Moai statue. Players can still enjoy the game for free and they're able to purchase V-Bucks to get access to Season 5 Battle Pass. The pass cost 950 V-Bucks which is around $10. Some gamers might opt to spending more to earn a higher tier because a Battle Pass will start you off at level 1. Players will gain more access to over 100 new items as they level up and complete challenges. The game gives different rewards for each challenge completed. This season, players can even unlock an exclusive outfit by completing special challenges. 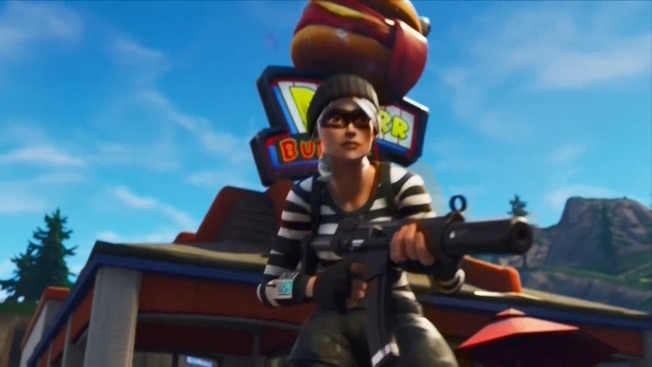 One of the biggest changes in Season 5 is the addition of "toys." Players can conjure up a golf ball and a beach ball to actually play at the new "points of interest" in the arena. Fortnite has gotten rid of older points of interest, where players would land and collect firearms and other items that will help them win the game, to keep the game fresh for veteran players. The game made $233 million in March, CNBC reported, and its popularity doesn't appear to be slowing down any time soon. Fortnite has millions of players. Many are children younger than 16, and they can be seen as easy targets for hackers and scammers. Epic Games, the developer of Fortnite, has been warning players to be aware of scams around free or discounted V-Bucks.